Will Smith: Keeping Things Fresh for the Kids with "MIB3"
After a three-year hiatus from the big screen – in which he helped successfully launched the showbiz careers Jaden and Willow, his children with wife Jada Pinkett Smith – the most reliable star of summer blockbuster fare of the past 15 years is ready to take the multiplex by storm. 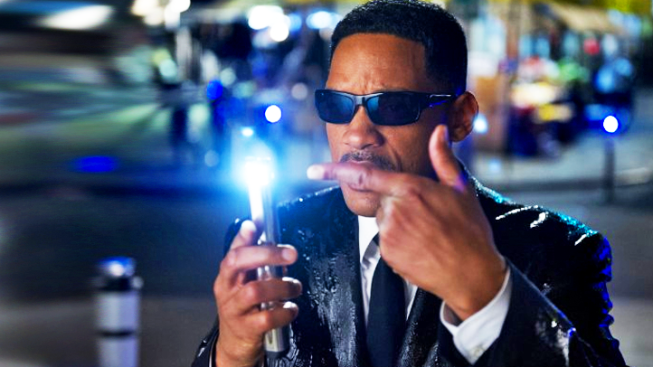 Smith’s strategically staging his comeback with newly time-traveling, three-dimensional “Men In Black 3,” reprising his role as alien-opposing Agent J opposite co-stars Tommy Lee Jones and a Jones-channeling Josh Brolin as the present and past versions of Agent K, respectively. Here's what he has to say on his comeback. technology and the kids today. “We're all 10 years older from the second movie, and different things are important to us in our lives and we're growing. We want to have the same kind of dumb that the first two movies had, the same kind of silly, because there's an appreciation of the silly that the comedy delivers. But it was really important for us also to have some meat to chew on and be able to create something. 'Toy Story 3' did a really great job of advancing it, but then also creating the underlying depth. So if you're going into the third part of something, we felt like it was really important to deliver more emotionally. 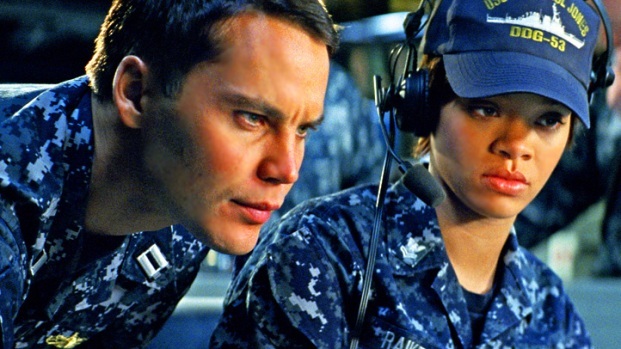 Taylor Kitsch, Brooklyn Decker and Rihanna talk about their experiences on the set of "Battleship," and what it was like to shoot scenes with injured veterans. See "Battleship" in theaters May 18. “My first concern with being in 3D was my ears, because I could see these things pretty much taking over the whole of the screen! When I first saw it and they were cool, I was like, 'All right – we didn't have me looking like satellite dishes.' But with special effects now you can see anything. There's no limitations with special effects. Probably the last five or six years there's absolutely no limitation of what you can see onscreen anymore. It's funny because the same thing happened with the music business when the music business went to digital, when you could do anything, record any number of tracks. As soon as it exploded it has a weird opposite effect where it gets worse for a while, which is really strange. It's like as soon as you get all the tools to do anything, all of a sudden now the movies aren't as good...I think what [director] Barry [Sonnenfeld] did is that he found the balance of not throwing things at the audience. The 3D is the screen and back. He went for depth, which makes it more pleasing to the eye."